I colored the pretty birdie with Copic markers: BG53, BG57, R81, R83, R85, RV 53, RV55, YR14 and R27. I used the fitted and scallop oval dies to frame the bird and to cut a "window" on the front. I embellished the card with the Garden Note Jasmine flowers. 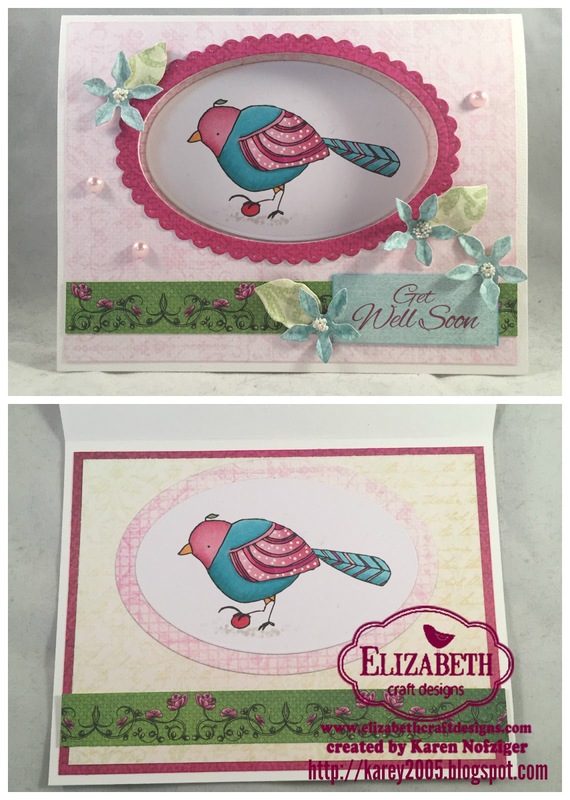 The paper is from the Heartfelt Creations Botanic Orchid paper. I love the pretty colors and sweet image.Simply beautiful! Wonderful job. So Pretty! Love the window view of the bird!